Here is another card I made over the weekend. I have used quite a few stick on pearls for this one and a fab large key charm. I made the scalloped circle in Photoshop and decorated with various papers from the Cute Carly kit. I cut slots around the card and threaded narrow satin ribbon through, tying a large key charm into the bow. In between each ribbon loop I added a stick on pearl and used some small pink pearls for Carly's bracelets. I thought this image was toooo cute and just had to make a card with him. 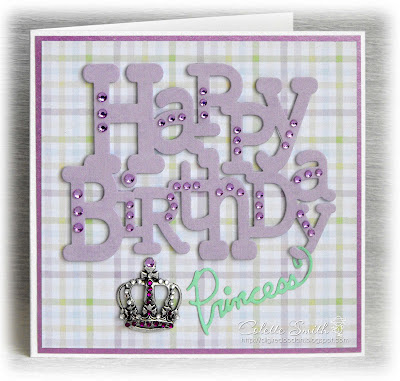 I made the card shape and scalloped circle in Photoshop then added papers from the Clipart Fairy's Babeasaurus kit. I love Mei's new wide satin ribbon, it makes lush bows, I tied a large dummy into the bow, a pearl on the baby's dummy and used little bitty buttons to decorate the scallops. Here is a stepper card i have made using a sugar nellie stamp.I have used spotty ribbon,a pearl buckle and gems from meiflower crafts . 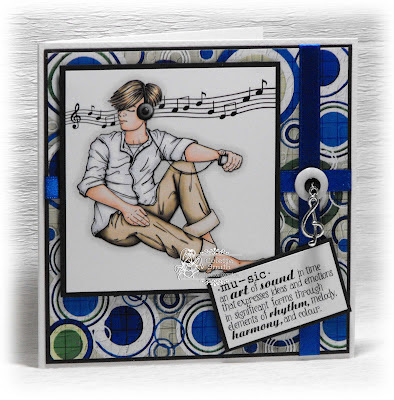 I found a couple of pieces of printed card in my scrap box that came from the same set and with the aid of my newest Die-Versions die, made up this quick card. 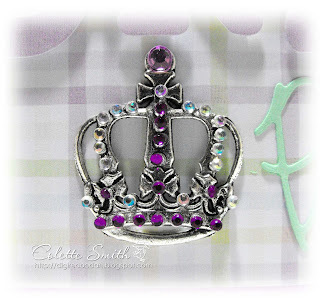 Crown charm and stick on gems - Meiflower. I added tiny purple and Aurora Borealis stick on gems to the crown and used tacky glue around the flat edges on the back of the crown to stick it into place on the card. 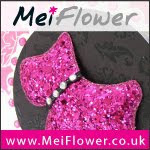 Ribbon, dummy and gems - Meiflower. I used the stripes on the paper as a guide to punch holes, through which I threaded pink 10mm satin ribbon, I added the dummy to one of the loops as I went along. I used two different sizes of pink gem stones to decorate the doily. 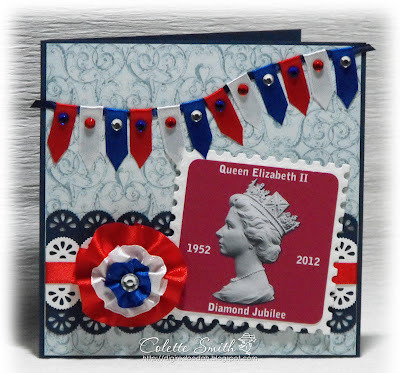 I have been looking for an image to go with a freebie sentiment I downloaded from Create with TLC a couple of weeks ago and yesterday I found it, I think the image is perfect with the sentiment. 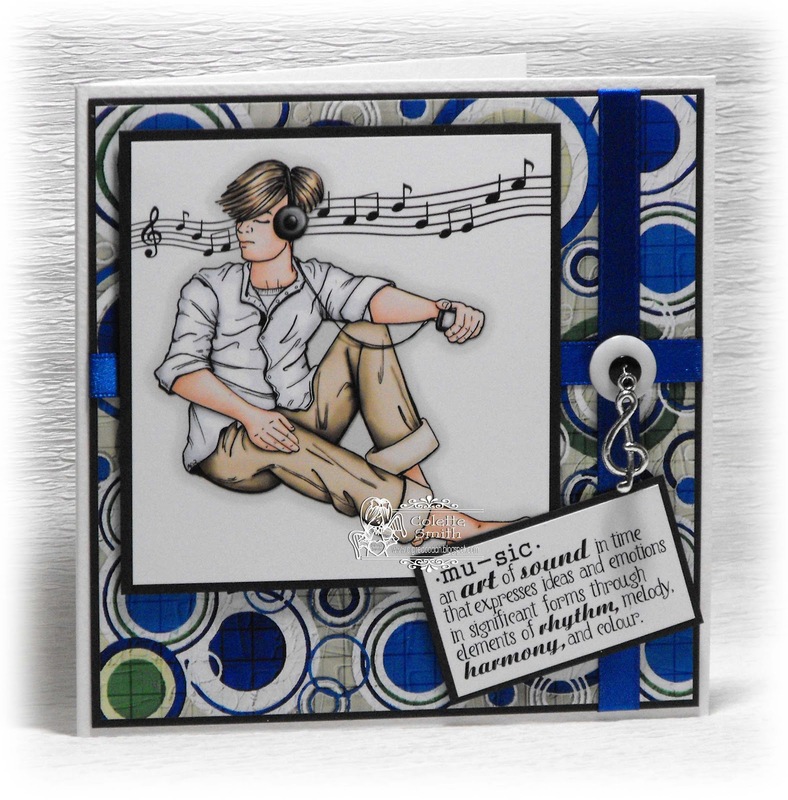 I thought this image was perfect for those awkward male teenagers and young adults, and the Treble Clef charm from Meiflower was the perfect embellishment. 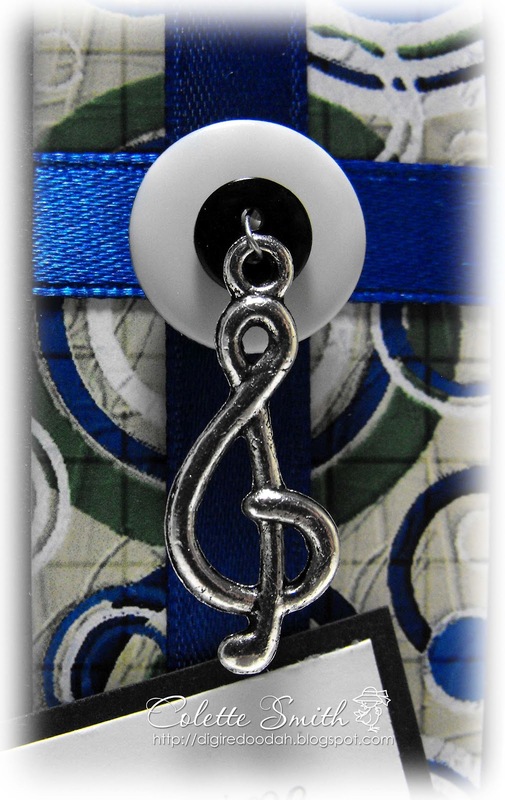 I used a small black button and a gingham button, (turned over to the plain white side) and threaded a piece of beading wire through the charm loop and both sets of buttonholes twisting it on the back to hold into place. The whole lot is then attached to the card on a foam pad, so it dangles nicely. 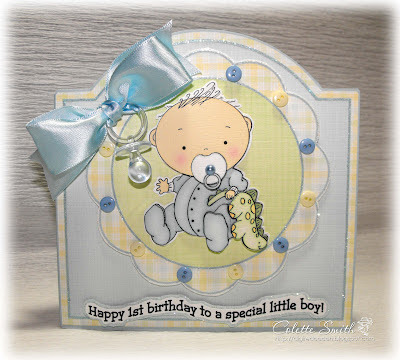 For this card I've used ribbon, gems, cord, flower and a cute little teapot charm from Meiflower Crafts. The papers and decoupage topper are from the Tea party range by Trimcraft and the circle sentiment is from Little Claire. In my last post I mentioned how much I have been using Meiflower's crystal blossom sequins lately, well it just so happens that they have made an appearance yet again, on today's card. 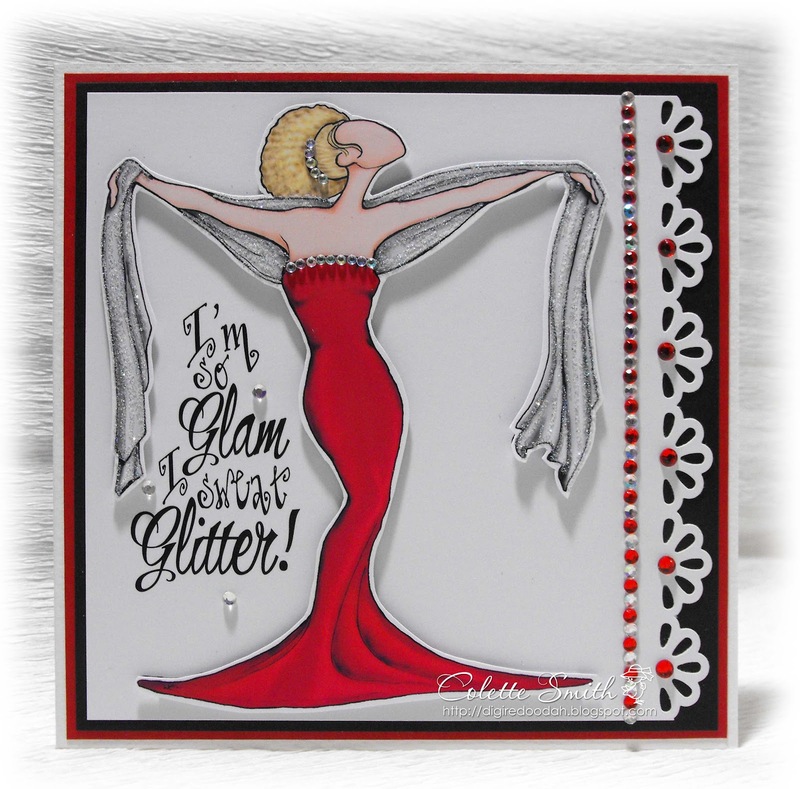 The card is made using the Double up Kit- Diva time 2 from the Clipart Fairy. 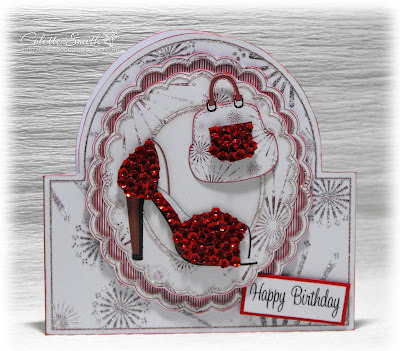 I made the shaped card and then used one of the background papers, scalloped ovals, word art, shoe plus decoupage, and bag plus decoupage from the kit. If you look closely you will see I have used lots of glamour dust and after layering up the decoupage on the shoe I have covered it in......red sequin blossoms LOL! I also added some to the pocket of the bag. Very blingy! I love Meiflower's little sequin blossoms, and find myself using them quite a lot these days, here is my most recent card, I have used the sequin blossom around the scallops of the heart. The back of the card is square with rounded corners and I made a scalloped heart template for the front, cut around it and then joined the two together with some strips of card, attached to the back of the heart and the back of the square, these have been covered over with patterned paper. As you can see I have grouped three blossom sequins in each scallop of the heart, I think they look really pretty. A gift tag made using ribbon and embellishments from Meiflower Crafts. Following on from Wednesday's jubilee card, here is card number two. This time around I made a Jubilee stamp. 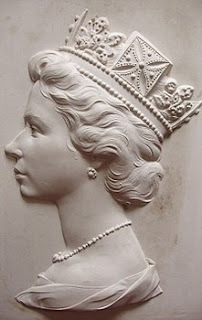 The Queen's head was taken from this picture of one of only four plaster-casts made of the Queens head by sculptor Arnold Machin, and is the image used on all the Royal Mail stamps. 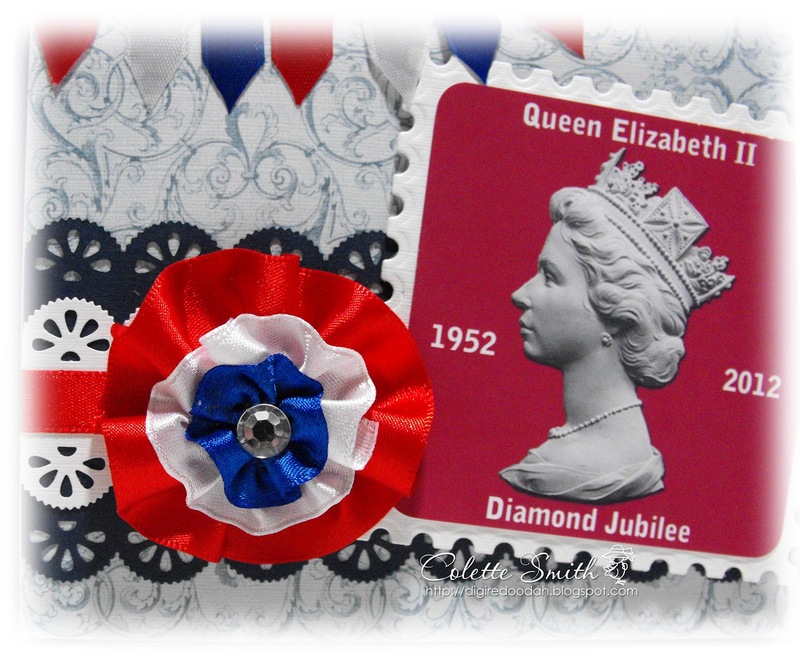 I used Photoshop to rextract the background so I was left only with the head, I added the wording and then turned it into my Jubilee stamp by attaching it to an X-Cut postage stamp die. 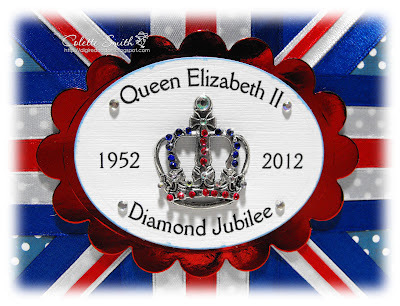 The rosette was made by gathering up lengths of ribbon and joining them into circles, the red layer was made from wide satin ribbon, the white and blue layers from 10mm satin ribbon. 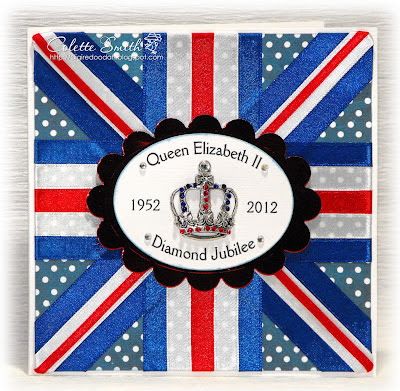 The white layer was gathered loosely and then attached to a small piece of scrap card, to make a circle slightly wider than the tightly gathered blue layer. Halfway through making this one I came up with an idea for another which I will put up in a couple of days. Dotty paper - found in scrap box not sure where it came from. here is a set of cards i have made for twin girls,i have used Theclipart fairy's papers and numbers from the over the top girls kit and the ribbon and gems are from meiflower crafts. The image is by mo manning .